Tide Watch is located in the sometimes forgotten seaside village of Seaton, but for those who know the beach and the area this is a special favourite. With spectacular sea views from the lounge, bedroom and private balcony, guests love to watch the changing light on the sea and activity on the beach. Approached through a wooded valley with walks alongside River Seaton, the Mount Brioni residence sits majestically looking down on the cove and sea around to Rame Head. Only minutes by car from the thriving harbour town of Looe, and with many other coastal villages in the area to explore, Tide Watch is an ideal base for short breaks or long stays. Enjoy coastal walks and the culinary delights close by especially at Seaton Beach Cafe, Waves Wine Bar & Bistro, The Smugglers Inn and the Blue Plate at Downderry. The Copley Arms at Hessenford, just a five minute drive away, also offers family meals, live music and quiz nights. The Monkey Sanctuary is only two miles away and has a fascinating collection of woolly monkeys, amongst other rescued primates. Whitsand Bay and Looe Bay are great beaches for children and adults alike! 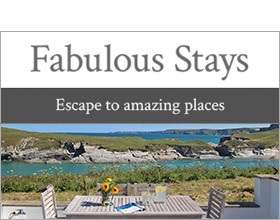 Be confident of a restful holiday in this beautiful spot on a part of the Cornish coastline often overlooked. Tide Watch is definitely for sea lovers, and with comfortable accommodation guests enjoy a peaceful and safe environment. All first floor. One bedroom: 1 x double with TV. Bathroom with bath, basin and WC. Kitchen. Open plan living area.